Every year on March 3 the citizens of East Timor, a small state in Southeast Asia, celebrate Veterans Day. This public holiday was established to honor those who struggled for their country's sovereignty during the Indonesian occupation of East Timor in 1975–1999. 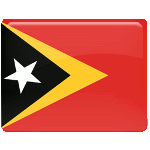 East Timor, also known as Timor-Leste, was a Portuguese colony until 1974. Following the 1974 Carnation Revolution in Portugal, the Portuguese Colonial Empire began to break down. After a short civil unrest and political crisis caused by a power struggle between several parties, East Timor declared its independence on November 28, 1975. However, merely nine days later it was occupied by Indonesia that took advantage of instability in East Timor. The Indonesian occupation of East Timor lasted from 1975 to 1999 and resulted in the deaths of estimated 100,000 to 300,000 people. The Revolutionary Front for an Independent East Timor (FREITLIN) tried to resist the invasion. In 1978, the FREITLIN leader Nicolau dos Reis Lobato was killed by Indonesian special forces and the armed military wing of FREITLIN engaged in a guerrilla war against the occupants. Veterans Day in East Timor was established to honor those who participated in the resistance during the occupation and fought for their country's independence. The country also celebrates National Heroes Day to honor the memory of the fallen members of the independence struggle.